John Antoniadis, a native of Greece, came to Egypt in 1860 to work in the potato trade which he later abandoned to become a wealthy cotton dealer. 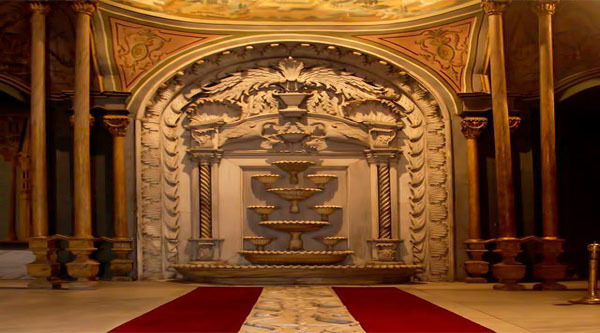 An extremely cultured man, he had a deep knowledge of the Greek and Egyptian cultures and chose the historical district of Elyosis to build his palatial Alexandrian villa. He commissioned the French architect Paul Richard to build it. 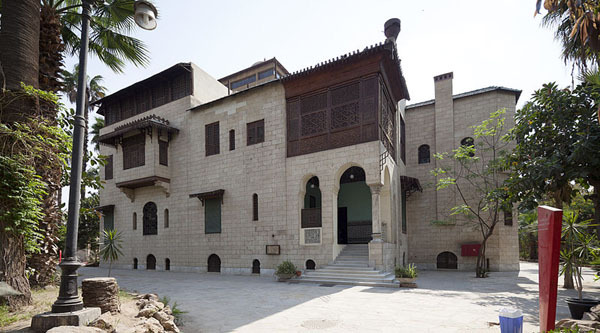 The Villa is today listed as a historical monument with Alexandria governorate conservation registry. 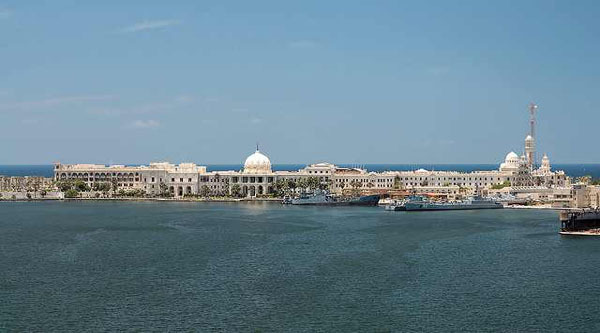 It lies at the southern entrance of Alexandria, near the Mahmoudiya Canal which carries Nile water to the Alexandria region. The Antoniadis Palace and its park are constructed as a miniature version of the Palace of Versaille. It consists of a basement level, a ground floor of 1085 square metres, a second floor, and a roof area. The ground and second floors include 15 rooms each. 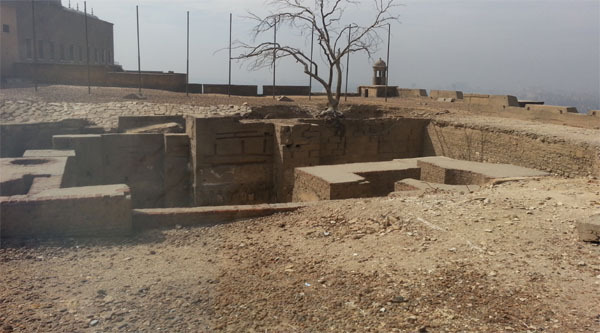 There are several archaeological remains, including a tomb and a cistern. The garden was dotted with alabaster statues of the Greek gods, including Aphrodite, goddess of love and beauty, and of famous figures such as Admiral Horatio Nelson. During the lifetime of John Antoniadis, the Villa was a gathering place for the social elite, the scene of gaiety and elegant partying. 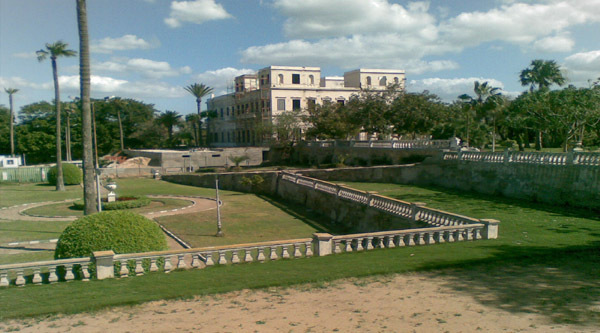 He once invited Khedive Ismail to attend one of his famous evening parties, and built a large dance hall in the palace gardens especially for that party. However, the Khedive was unable to attend and Prince Tawfiq — later Khedive Tawfiq — was delegated to attend. 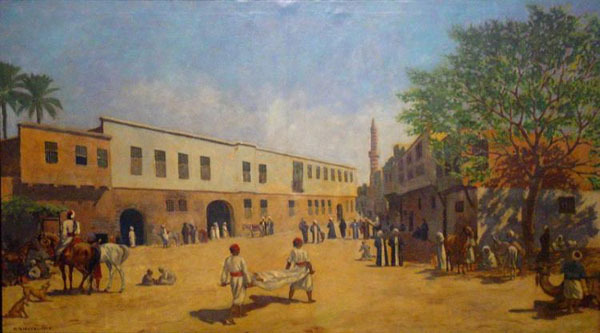 John Antoniadis lived there until his death in 1895, when the palace and its gardens passed to his son, Antonis, who in turn, and according to his father’s will, gave it to the municipality of Alexandria. The transfer of ownership took place in 1918. 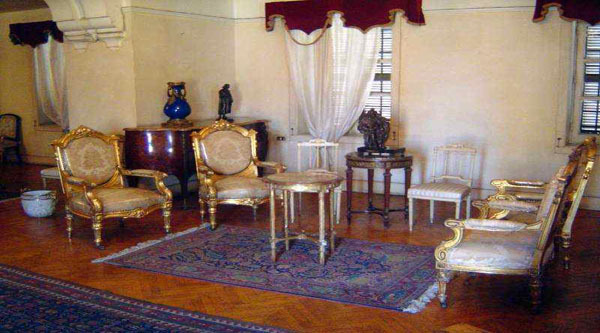 Afterwards, the Villa was used as a guest house to host visiting dignitaries to Egypt, including the Kings of Belgium, Greece, Italy, the Shah of Iran and Mohamed Reza Pahlavi, who married the Egyptian Princess Fawziya, the sister of King Farouq. They honeymooned there. The building was called a villa until 1921 when Reza Shah Pahalavi stayed there, after which it officially became a palace. 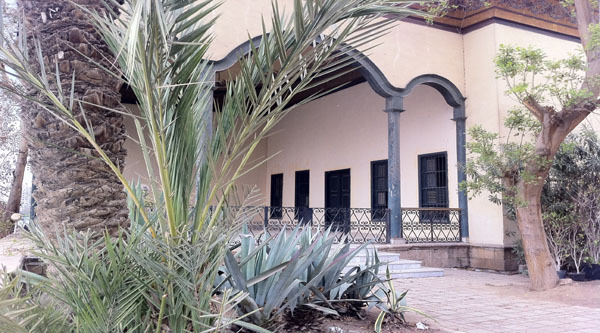 In 1930 its then owners, the Alexandria municipality, renovated the building and added a new wing to accommodate the king and queen of Belgium and their entourage; the invitation cost the municipality the sum of EGP 1200. After the 1952 revolution, part of the original garden of the Villa itself was used to enlarge the Nuzha and zoological gardens. There was a general decline in the condition of the Villa after about 1970, but the gardens remain in fairly good condition.